With the start date for the Medicare number transition less than six months away, many practices are scrambling to alert patients, update systems, and educate staff on the details. If you're confused about what's at stake and what to do, CMS has new guidance, fact sheets, and forums, addressing your concerns. Now: Currently, beneficiaries' Medicare cards contain their Social Security numbers (SSNs) as the primary identifiers. The SSNs also work as the Health Insurance Claim Number (HICN). Next: However, due to a rise in identity theft and the "illegal use of Medicare benefits," MACRA mandated that all cards must be replaced with a new number by 2019. The updated cards will include a brand-new number called the Medicare Beneficiary Identifier or MBI, and CMS will start mailing out the new cards in April 2018. 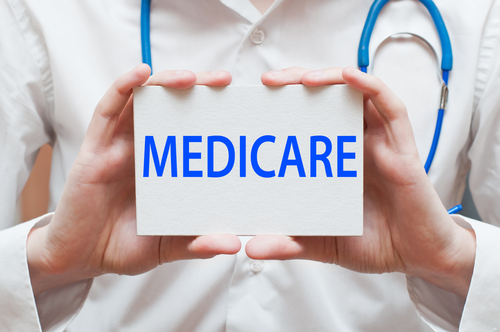 Problem: Many Medicare providers are aware of the change, but do not have systems prepared to address the new number program, which is required by CMS. "Your systems must be ready to accept the new MBI by April 1, 2018," the agency insists. "It's especially important that you're ready for people who are new to Medicare in April 2018 and later because they'll only get a card with the MBI." Despite the need for a complete overhaul of your billing system to accept the new identifier, there is some good news. "There will be a transition period when you can use either the HICN or the MBI to exchange data and information with us," notes CMS in its MBI fact sheet. "The transition period will start April 1, 2018, and run through December 31, 2019." In addition to the fact sheet, materials from several open door forums are available online as well as additional Medicare-card transition guidance. The forum slides and advice offer assistance to Part B providers but also business associates, private payers, State Medicaid agencies and providers, hospitals and large healthcare organizations, and more. Resources: To utilize the CMS fact sheet on the new MBIs, visit www.cms.gov/Outreach-and-Education/Medicare-Learning-Network-MLN/MLNProducts/Downloads/TransitiontoNewMedicareNumbersandCards-909365.pdf. To access various links and forums related to Medicare card changes, visit www.cms.gov/Medicare/New-Medicare-Card/index.html.